Triple Eight will rethink anti-fog solutions for its windscreens after resorting to using squeegees in Sunday's rain-hit Supercheap Auto Bathurst 1000. 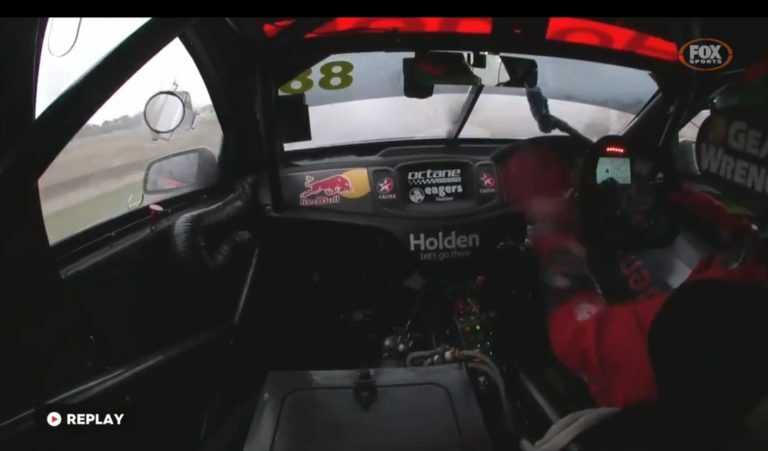 Footage of the Red Bull Holden Racing Team drivers using squeegees on the inside of the windscreen to improve visibility while on the circuit raised eyebrows during the Great Race. 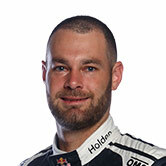 Stewards investigated an allegation from Mobil 1 HSV Racing that the squeegees breached Rule C6.7.2, which states that “any other components or accessories, regardless of weight, which are mounted within the cockpit, must also be designed to ensure safe containment”. Triple Eight’s solution was, however, approved by Supercars sporting and technical manager David Stuart prior to the race on the basis that the squeegees were affixed to the steel roll-cage in the cars securely by magnets. While the squeegees allowed the drivers to improve visibility during the race, team manager Mark Dutton admits the fact they were even required was “dissapointing”. It's a high-tech sport ? “It’s something you should never need because you should make sure your windscreens don’t fog up,” he said on the Red Bull HRT website. “It’s funny when you see it because it seems like a clever ‘get out of jail free’ card, but the fact we were using it is actually quite disappointing. The polycarbonate windscreens do not have demisting filaments seen in road cars, which would add considerable weight and cost. Teams instead use a combination of ducting and anti-fog wipes which are applied to the inside of the screens before taking to the track. 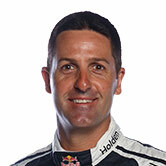 The few cars to suffer issues included the two Red Bull Holdens and Brad Jones Racing’s Freightliner entry, which had a major knock-on effect for driver Tim Slade. “Unlike a normal road car, you can’t run your normal demister because of the added weight,” explained Dutton. “And the car also has a lot more holes in it – most of which are not allowed to be closed up due to safety requirements – so water is always going to get into the car. “The cars run very hot and you create a lot of steam in the car and running slower because of the Safety Cars doesn't help because there’s less cold fresh air cleaning the steamy air out. “We were the standout for having issues which is not cool, so we’ve got to redirect our attention to a different approach. 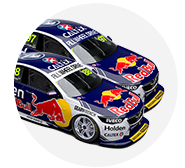 The windscreen trouble was one of a number of issues to hit Triple Eight on Sunday, which included an engine problem for Jamie Whincup, a suspected damper issue on Craig Lowndes’ car and several off-track excursions for Shane van Gisbergen and Matt Campbell.